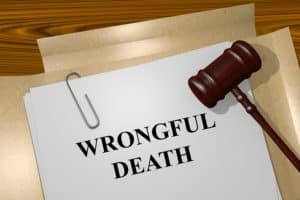 Can And Should You Sue For Wrongful Death? In New York, The Estate Powers and Trust Law in the State Constitution lays out the rules for wrongful death. Courts have given verdicts in favor of plaintiffs for deaths that have occurred in fatal car accidents, poorly maintained premises, medical malpractice, and deaths at work, for example. Each case is unique but depending on the facts of your case, a New York licensed attorney will be able to tell you what you might be able to recover. Additionally, experienced attorneys will know exactly how to pursue your case and answer any pressing questions that you may have. Courts may also award more or less money depending on what happened. If the deceased was partially at fault, courts will typically award less but if the defendant acted maliciously, you could be awarded more. Even though an attorney will not be able to give you an exact dollar amount of what you will receive, attorneys can still tell you whether you likely have a successful case on your hands, what you can potentially recover, and guide you along the way. The statute of limitations for a wrongful death claim in New York is two years. This means that a decedent’s personal representative will only have two years following the death to pursue a lawsuit. Waiting past the statute of limitations will result in a court not hearing the wrongful death claim unless there is a rare exception. Contacting an attorney as soon as possible will ensure that your case a filed in time. Even when you are still deciding whether you should sue or not, an attorney will be able to explain what the likely outcome is. After all, it is never too early to get the ball rolling, but it can get to be too late. Even if you think it might be too late, an attorney will also be able to let you know if you fall under any few exceptions that could allow suit. We always give free initial consultations so if you’re thinking about filing a lawsuit, we can discuss what happened and let you know what we can do for you. We will not charge you anything until you win your lawsuit, so there are no obligations. Our attorneys at O’Brien and Ford know that you are going through a difficult time after the death of a loved one, but we will do anything possible to make this an easier time for you. Call us at your earliest convenience: (716) 330-2901.